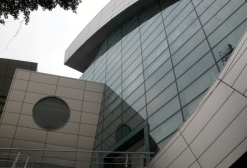 Recalling the past decade, construction projects in Taiwan, metal roofing and facades of curtain material are commonly used, generally no more than aluminum, stainless steel, iron, copper and other metal materials. 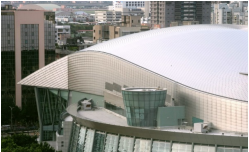 However, Taiwan’s larger scale use of titanium sheet metal roofing and facades Curtain case, but it is only a handful. 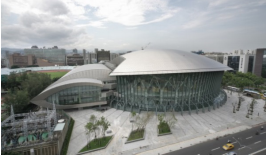 Until July 30, 2013, but only completed in August 2005 Nanjing East Road in Taipei using Dunhua North junction of the first phase of the Taipei Municipal Stadium multifunctional stadium roof project. 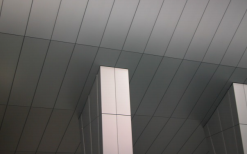 The materials used in buildings comes from, and Japan’s Mitsubishi Corporation uses 0.3mm + 3.4mmFR + 0.3mm stainless steel combination of 4mm titanium composite plate (TCM), etc. The amount of approximately 7,073m2. Posted in Application and tagged titanium composite panels, titanium sheet, titanium sheet metal.